Welcome! 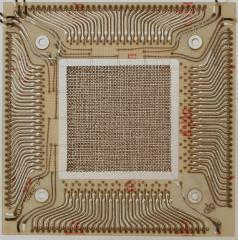 You have arrived at a website dedicated to the lost art of magnetic core memory manufacture. 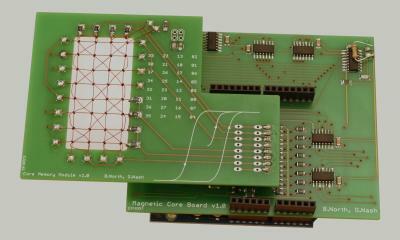 This site came about following our success building an Arduino-based magnetic core memory module. Building a core memory shield was a great learning experience and a lot of fun, so we thought it would be worth writing up some details for anyone else who might like to do something similar. As well as the report, we provide all the resources (EAGLE files, gerber files, parts list, etc.) necessary to build this Arduino shield. We couldn’t resist the temptation to publish our report on May 11th, 2011 — the 60th anniversary of the original core memory patent. Although the report contains everything you need to know to build the Arduino shield, there is a lot more we would like to say about our experience building the shield. We may one day post a more detailed build log. We hope you enjoy reading about the core memory shield and would be delighted to hear any feedback. Excerpt from a TI Series 74 Designers Manual from 1973, showing TI's range of specialised ICs for creating core memory modules. Lots of good circuit and construction details. Many thanks to Andy Warner for sending this on! Talk given by Jay Forrester on the Whirlwind Computer, including a section on memory systems in general, and core memory in particular, at around 36:20–50:00. 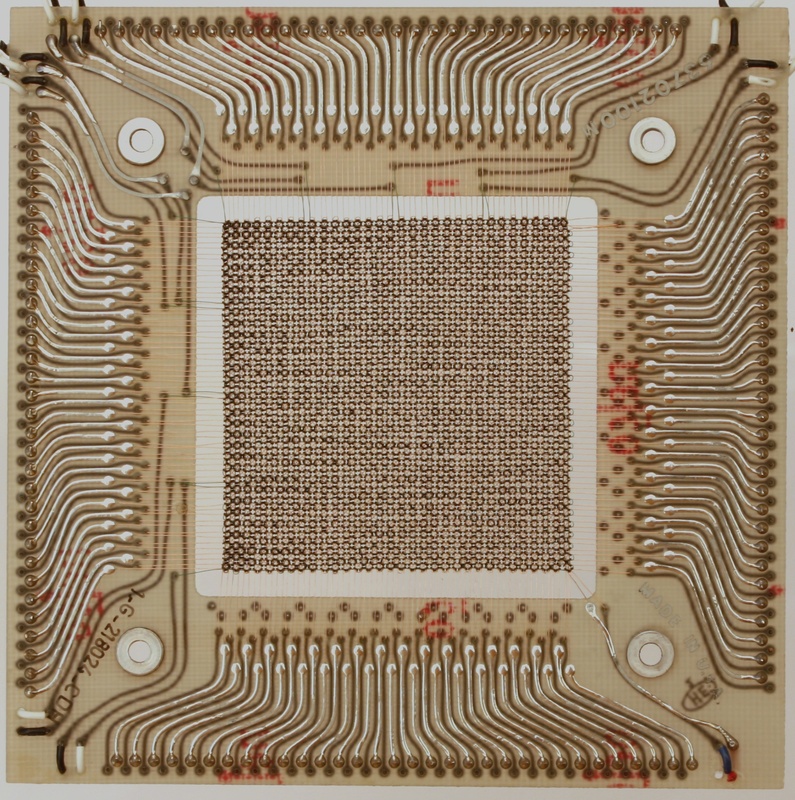 The Amazing IBM 1620 Magnetic Core Memory Stack Design. Write-up of a circuit design for using an auxiliary switching core as a transformer to switch the actual memory cores. Our shield's page on Jonathan Oxer's Arduino Shield List.